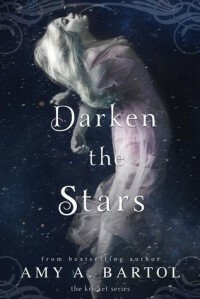 Darken the Stars - Jess Loves to Read! I loved this book, but I am sad that the story is over. One thing that I was so happy about was that these books did not follow the love triangle that so many YA series contain. In the end, Kricket chose herself and her freedom. She did not make the choice between the two handsome love interests. Although I was somewhat surprised how her relationship with Kyon played out, I was glad that she chose her and her friends freedom in the end. I think Kricket was the strongest heroine of any YA book I've read.